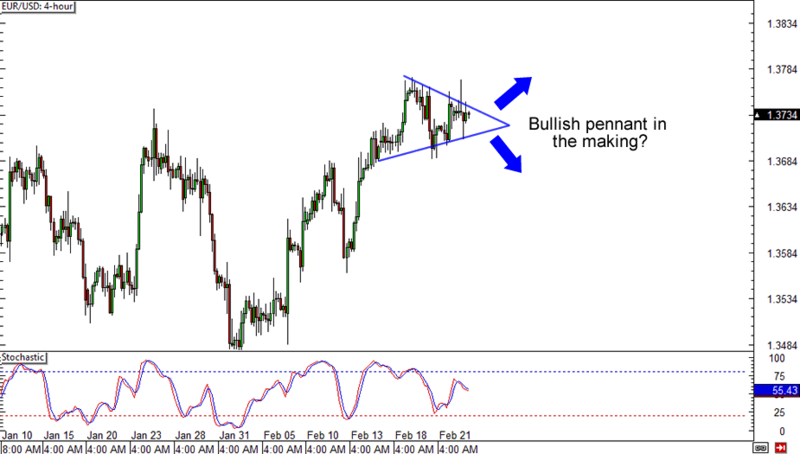 First up for today is a potential bullish pennant on EUR/USD’s chart! The pair has been consolidating around the 1.3700 area and from the looks of it, the bulls and bears are about to have a huge showdown. A pennant usually suggests continuation of a trend, but watch this one closely in case the bulls fail to drive higher than the 1.3800 resistance on the higher time frames. Pennants not your thing? No worries! 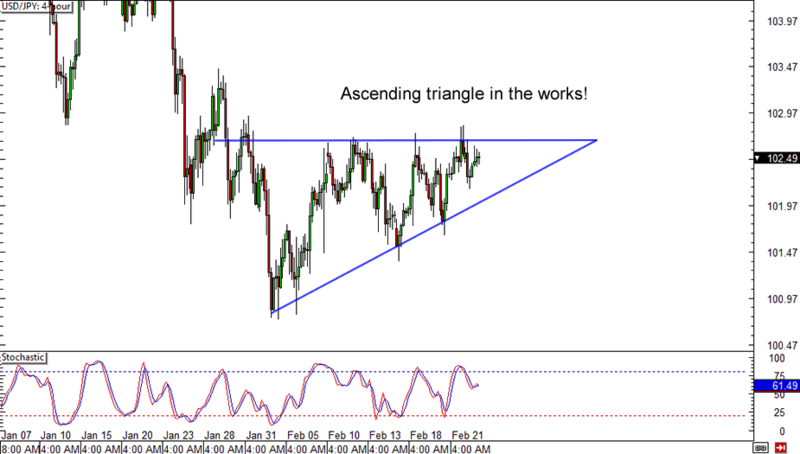 Check out this ascending triangle on the Greenback! USD/JPY has been knocking on the 102.70 level and by the looks of the higher lows, it seems that the bulls are determined for a break above 103.00. Of course, not all ascending triangles end up with an upside break. Just read the School of Pipsology‘s lesson on it if you’re planning on trading this setup! Last one up for today is a nice and simple range on the 4-hour time frame. 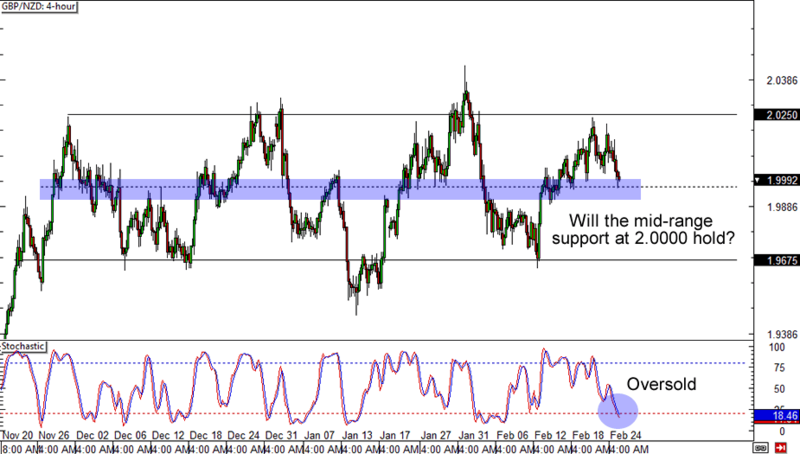 After hitting a resistance at 2.0250, GBP/NZD is now testing a mid-range support near the 2.0000 major psychological area. What’s more, Stochastic is in the oversold territory! Will the bulls defend the level or will the pound bears succeed in dragging it all the way to 1.9700? We’re talking about multiple hundreds of pips here, so y’all better watch this one closely!